This is the new Marvel 3.75" Appreciation Thread. The previous thread veered too often into off-topic, spam and discussion of staff actions. That will no longer be allowed. 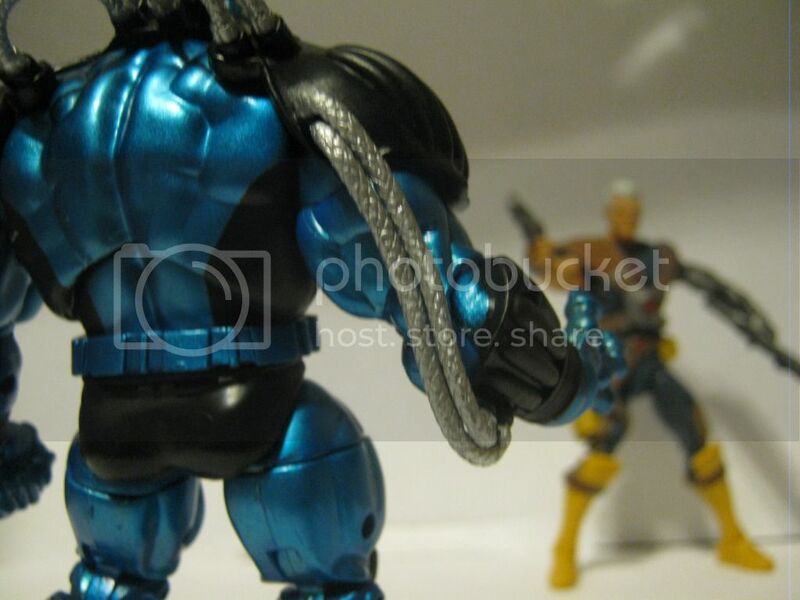 • Sharing comparison photos with Marvel 3.75" toys and other toy lines. Last edited by Joe Moore; 09-18-2012 at 11:43 AM..
i love Marvel 3.75 toys. A new thread? Alright, cool. Maybe it will be a little bit easier to follow. If individuals wish to engage in off topic sig related agreements, converse VIA PMs or the face book page. Marvel 3.75 gets my money every time!! I really hope that revision case hits stores. I could really use that jugs. I don't really need them since I have versions but a Thanos with infinity gauntlet and a Dark hawkeye would be nice to add to the collection. Other arkers were nice enough to hook me up with the others in that case. @Symbiote - Those pics in the end of the last thread were awesome. Nice job! Entertainment Earth has Greatest Battles Wave 8 coming in November. If anyone finds a pre-order for JUST the Strange/Silver pack, lemme know. Same here. Luckily I was able to buy a lot of the new waves off my 'ark buddies. I recently cancelled that portion of my pre-order as I believe I'll have an easier time finding them in retail now. Any word on when we can expect wave 20 and so on? And what happened to MU Throg? Last edited by scottmurdock; 09-18-2012 at 11:46 AM.. I havent tried to hit up arkers for the new waves yet..figured they were getting swamped with requests..and I dont handle crowds well. Hopefully I see some info on my case soon. It still has that new thread smell in here..but its kinda stuffy..might stick with the old one. Man I think its about time that wally comes out with a new Gigantic Battles pack...thought it was this time last year that the frost giant, and bill foster packs came out...but no news so probably not! Last edited by fallen69lee04; 09-18-2012 at 12:32 PM..
Last edited by toys4me; 10-20-2012 at 10:16 AM..
Now I'm paranoid about posting off-topic. Blah. Not sure how comfortable I feel right now. Anyway, I guess I should appreciate. Is that custom or is that how the comic pack apoc comes? Might have to get that one if its standard, so it's probably custom. It's from the X-Factor 6 pack my man =3. What I mean is the cords. The original one has them so he can barely move his arms. The one in the pic looks less restricting. I knew it was the 6 pack version.